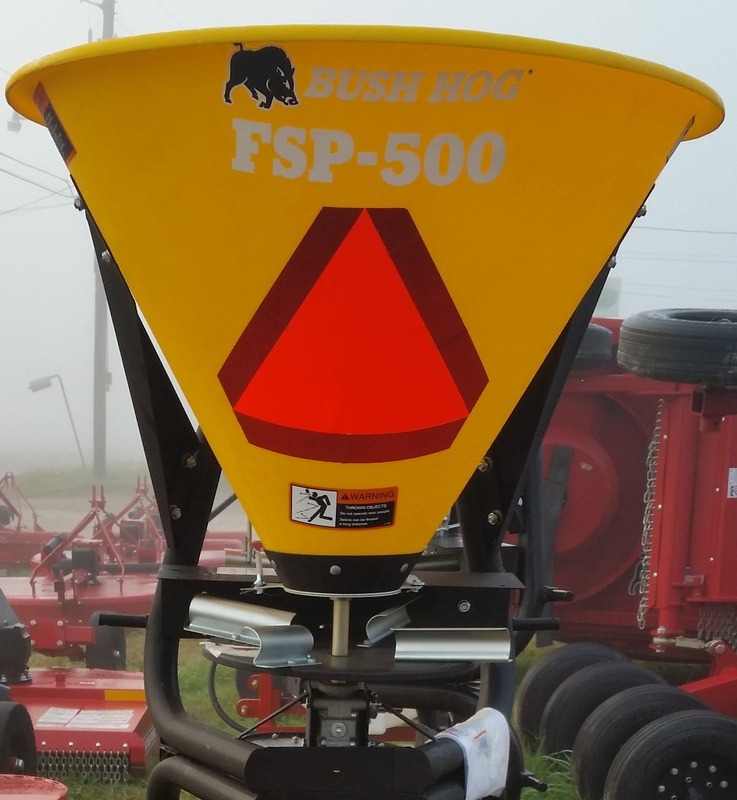 FSP-500 Bush Hog - The Bush Hog three point hitch fertilizer spreaders have bottom opening gates for accurate flow rates. Variable gate position openings and fine adjustments ensure material drops on different positions of the spinning disc. This produces a center, right and left pattern. The polyethylene hopper offers long lasting protection from the deteriorating effects of fertilizer. For further resistance to deterioration, the distribution fins are electroplated and the paint is powder coat for hardness and durability. The FSP models can also be used to distribute seeds. The FSP-500 has a weight capacity of 500lbs.